KleenGuard Personal Protective Equipment (PPE) enables rather than inhibits – allowing for maximum productivity and safety for you and your employees. Kleenguard A20 Breathable Particle Protection Shirts are designed to move with you – and your employees – while helping protect against hazardous and non-hazardous dust. These protective garments offer superior particle holdout coupled with unmatched comfort attributes. The A20 fabric is comprised of five layers of stacked barrier protection (SMMMS) against hazardous particles. 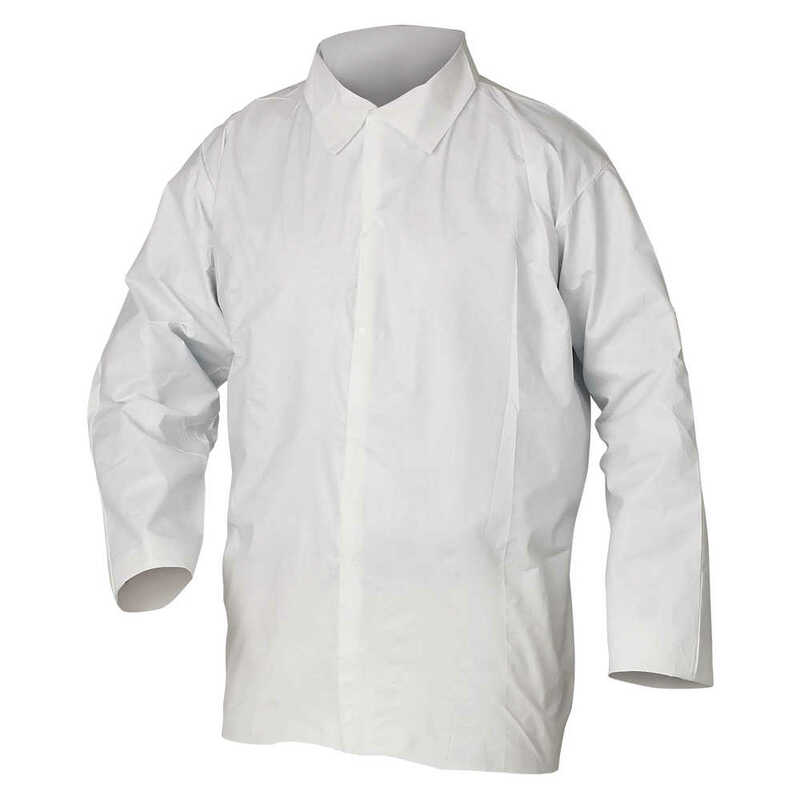 This hip-length shirt comes in a variety of sizes and features serged seams, five snap closures, open wrists and a mandarin collar. They are a popular choice for dusty environments such as laboratories and remediation, as well as pesticide applications and as decontamination modesty garments. Making the right Personal Protection choice is difficult. Perform with distinction with KleenGuard Personal Protective Equipment (PPE).